(Bloomberg) -- Tesla Motors Inc., a maker of electric cars backed by Toyota Motor Corp., said the two companies are considering whether to build battery-powered RAV4 sport-utility models at the U.S. automaker's California plant. Toyota, after buying a $50 million stake in Tesla this year, said in July it would develop an electric version of the compact RAV4 SUV with its new affiliate, procuring batteries, motors and other components from the Silicon Valley startup. Toyota, the world's largest automaker, agreed to pay it $60 million to develop components for the project, Tesla said in a filing this month. Toyota has yet to announce where the electric RAV4 will be built and how many it expects to sell when the model arrives in 2012, said Mike Michels, a U.S. spokesman. Toyota has said it will show a prototype version of the model at the Los Angeles auto show next month. Tesla, also partially owned by Daimler AG, is already supplying battery packs for electric versions of Daimler's Smart minicar and Mercedes A-Class small car. Tesla's supply arrangement for the electric RAV4 “will be far more extensive,” including batteries, motors, inverters and charging systems, J.B. Straubel, Tesla's chief technology officer, said in an interview at the California plant. The company aims to begin making $54,700 electric Model S sedans at the factory in Fremont in 2012, initially using a fraction of the 5.5-million-square-foot factory's capacity, the company said. Tesla's goal is to build as many as 20,000 Model S cars a year at its Fremont plant initially, eventually expanding to 50,000 with model variations derived from the same basic platform, Passin said. Production will grow as the company develops lower priced models for mass-market buyers, he said. 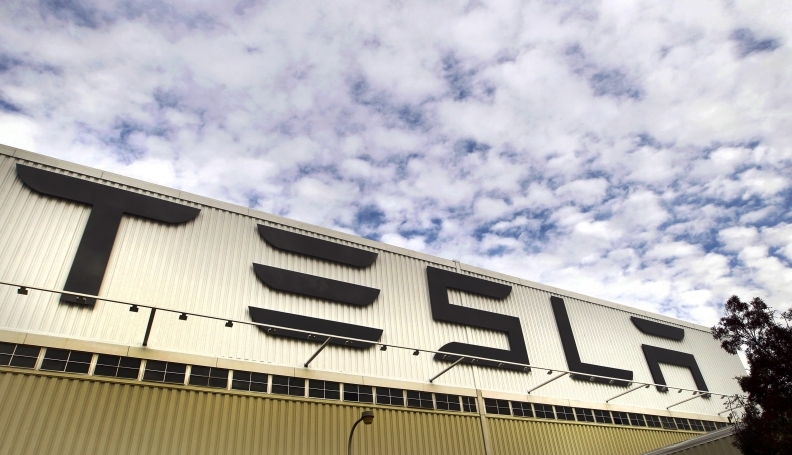 The plant has capacity to make as many as 500,000 vehicles a year, Tesla said.